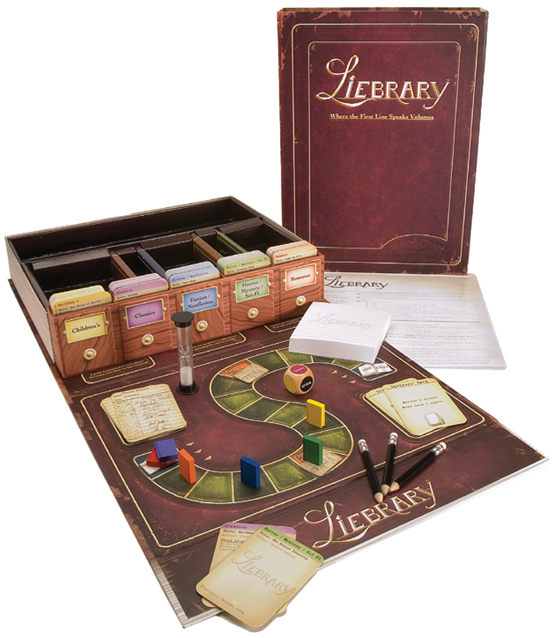 You don't have to be well-read to play Liebrary. All you need is your sense of humor and creativity! Each player will hear the title and a short description of a book. Create a convincing first line to fool your fellow players into thinking yours is the REAL first line of the book. The player who reaches the end of the board first wins!